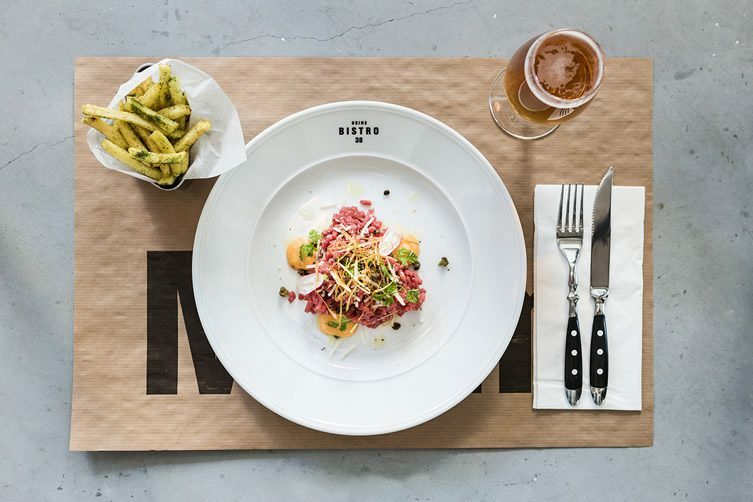 From sausage factory to tax office, there have been some pretty unappetising businesses at this premises in the Södermalm neighbourhood of Stockholm. 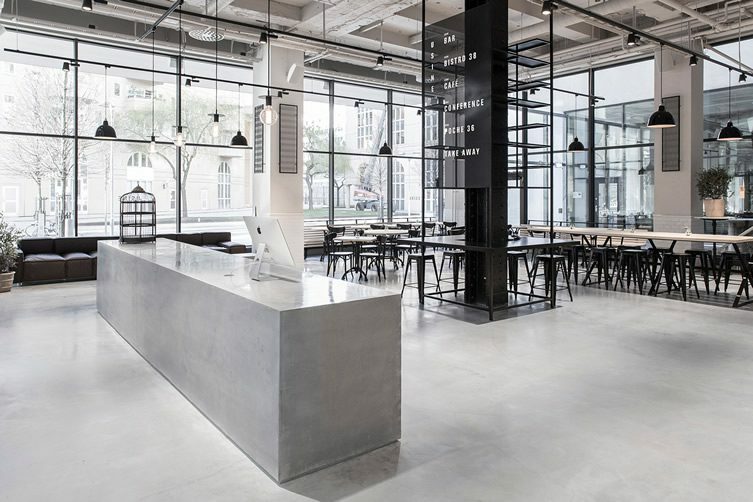 The latter’s legacy was a maze of corridors and low-ceilinged offices, so designer Richard Lindvall began his transformation by stripping the entire ground floor out and starting again. 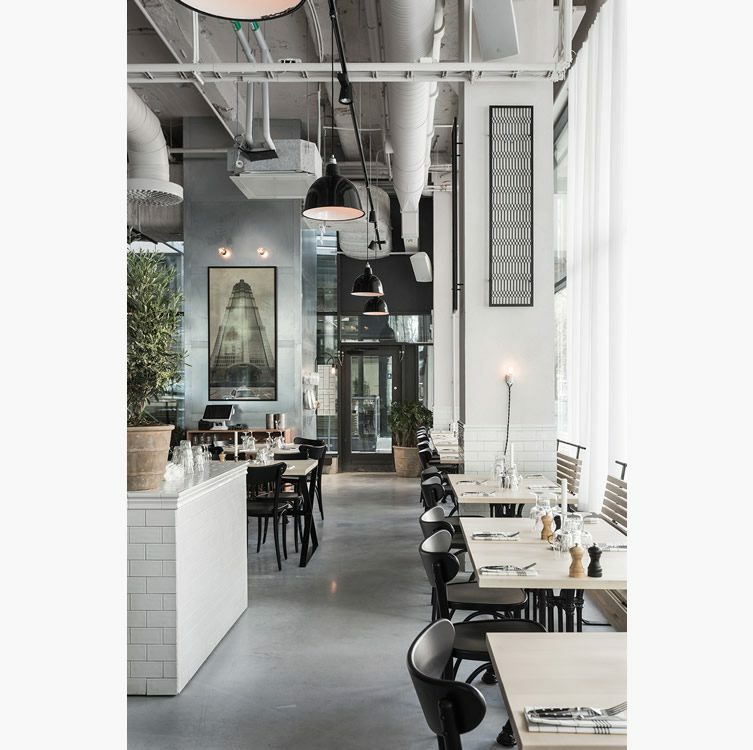 The project breathed new life into the formerly stuffy building, and when it was finished, the 2,000sqm space had a cool, crisp, glacial freshness — perfect for Tim Karlsson and Michael Andreasson’s Usine restaurant. 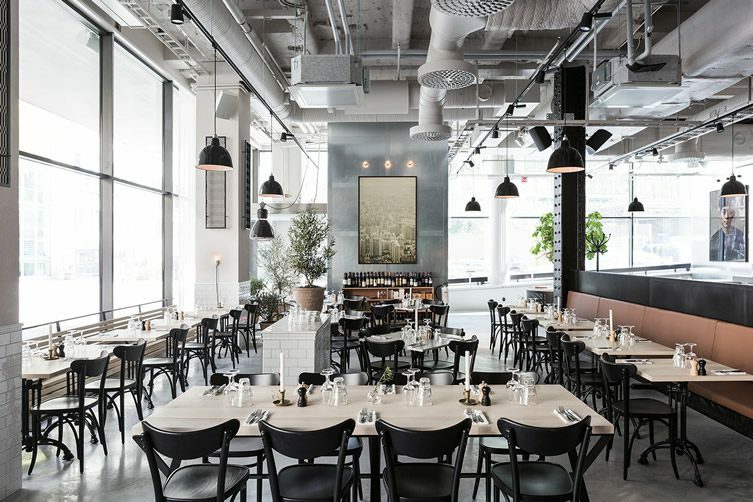 The food is modern French, but the looks are centred around Scandinavian minimalism with influences from Lindvall’s experiences in Shanghai, New York and Amsterdam. 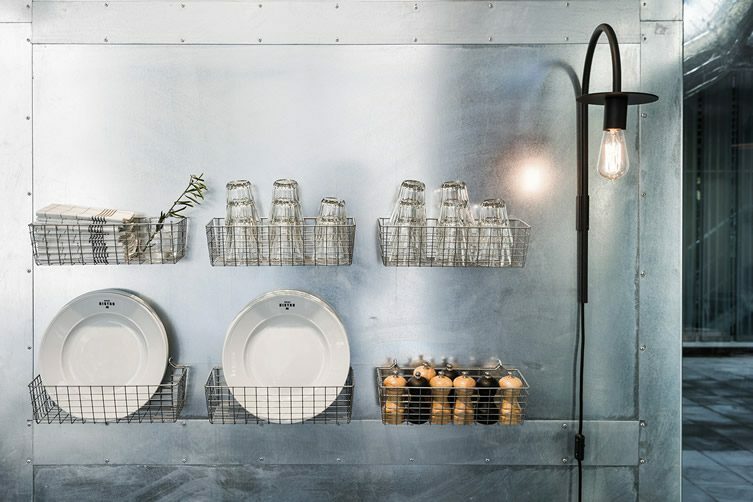 With a big space and hard materials, the designer was mindful to take the edge off with decorative touches to avoid an overly severe environment. 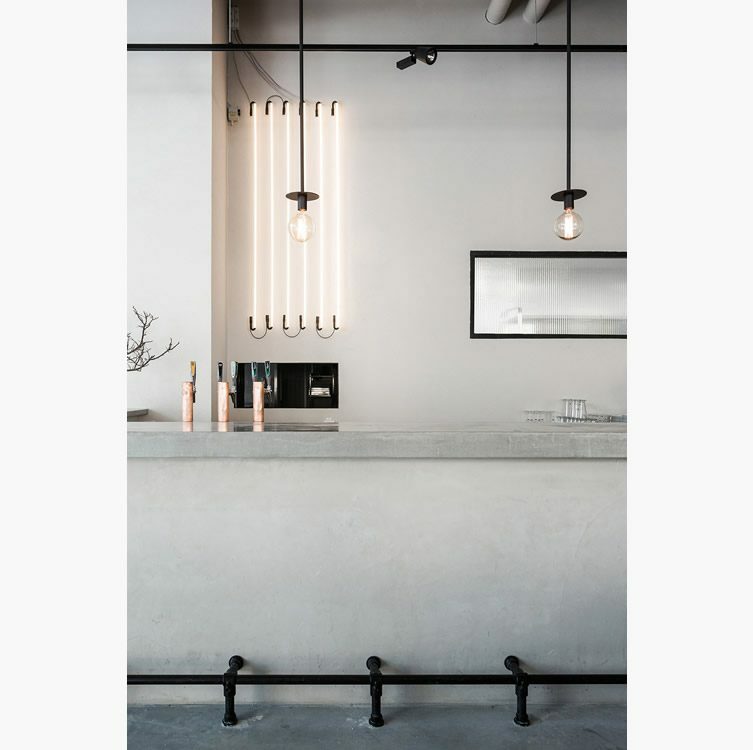 One of the features Lindvall employed was the wall-mounted panels, made from metal and framed with blackened steel for a hint of Art Deco. 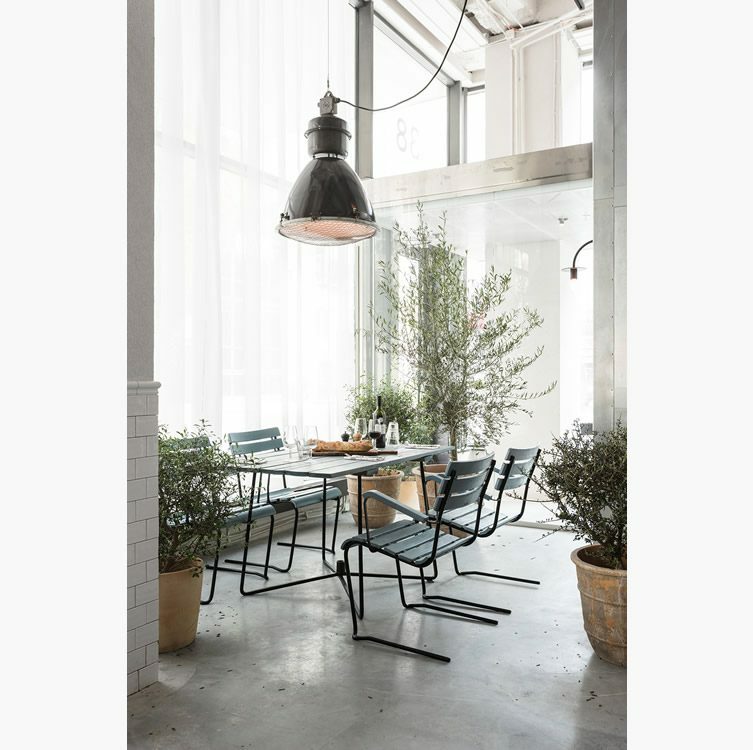 The tables and sofas were designed by Lindvall and made by a carpenter in Lithuania, and further international items include French oyster baskets and pendant lights from China. 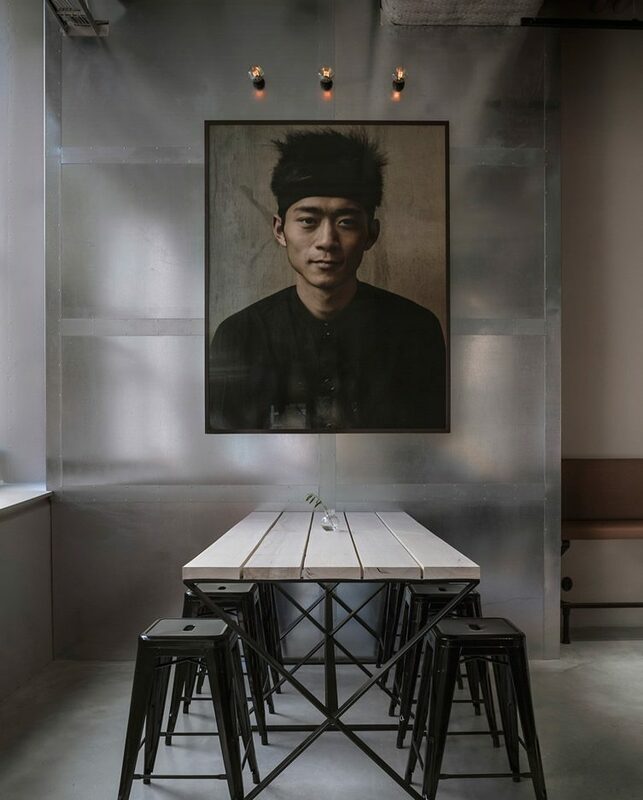 The striking photographs were shot in Shanghai in collaboration with photographer Johan Annerfelt, including a portrait of one of the cooks from the city’s Shintori restaurant.